The IP of TSViewer.com has changed to 94.23.235.222. This new IP address needs to be placed into the query_ip_whitelist.txt so the TSViewer is able to query your TeamSpeak 3 server successfully. This file is located in the TeamSpeak 3 server directory. Simply exchange the old IP (85.25.120.233) against the new one (94.23.235.222). You dont have access to this file if your TS3 server is rent. In that case inform your hosting company about the IP change of TSViewer.com please. What is there else to report? 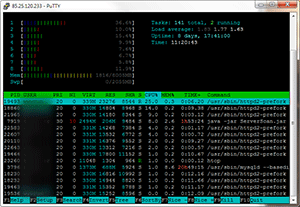 It seems everything is running and is faster then before. The TSViewer´s get because of the SSD´s and the speedy CPU´s generated faster and the database queries for the other functions are getting processed immediately. I hope I didnt overlook any parameters when configuring the services, but its possible. Please inform me if you stubmle into errors so I can fix them. If you have maybe noticed, TSViewer.com has been a victim of DDoS attacks in the last few months and the most important advantage of the move is the DDoS protection. If the DDoS protections works we will not become aware of an attack and the page will be accessible for you 24/7. The improvement of all features. The channel spacer, the icons from channels and users, maybe avatars, improved server and user banners, a better user history and so on. Thank you for reading! I keep you posted.